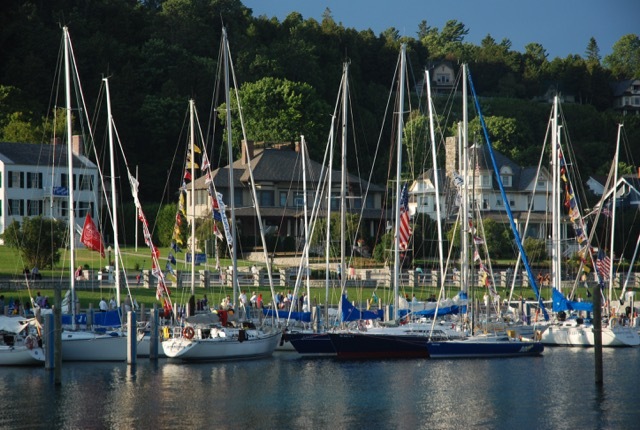 Enjoy beautiful, historic Mackinac Island while staying at the Murray Hotel. 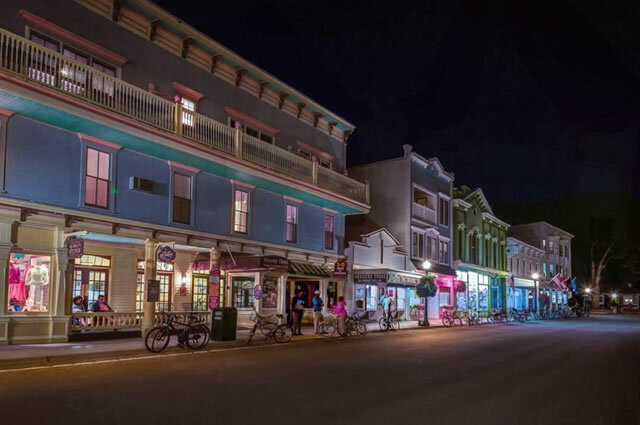 The hotel is located on Mackinac Island, a small island between Michigan's Upper and Lower Peninsulas. The Island has a lot of interesting history, which is preserved in its state parks. 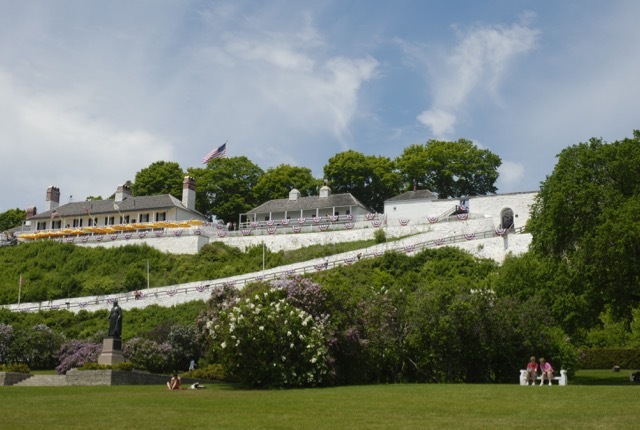 In the late 19th century, Mackinac Island became a popular summer tourist attraction. It is well known for its festivals, architecture, its fudge, and its ban on almost all motor vehicles. Cars are not permitted on Mackinac Island, so you are going back in time where the main means of transportation are bicycles and horse-drawn carriages. A ferry boat must be taken to reach Mackinac Island. 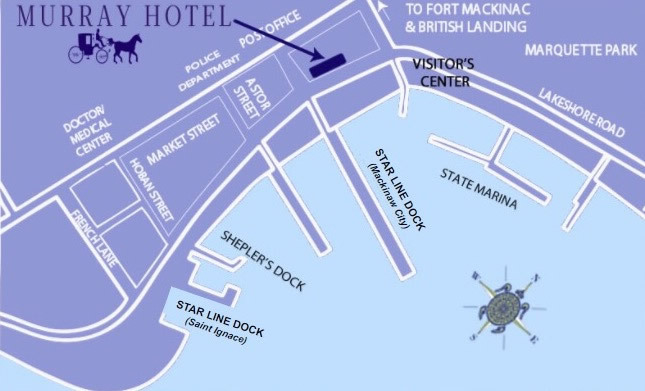 There are two ferry lines traveling to Mackinac Island. We recommend Star Line as it is the most convenient location, directly across from the hotel. The Star Line Ferry also offers a discount to guests of the hotel (found in your confirmation email). Our friendly dock porters will greet you and transport your luggage from the ferry docks to the Murray Hotel. 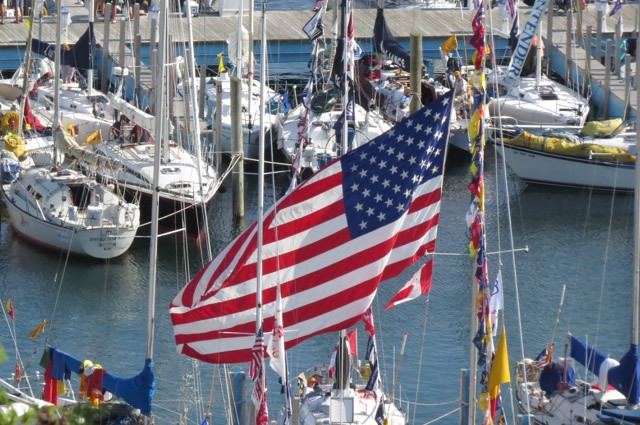 Mackinac Island is known for its cool breezes - don't forget to pack an additional layer. The Island is known for an intermittent drop of rain or two - a rain coat or umbrella will ensure you don't miss a beat. There are over 70 miles of trails crisscrossing the island in the Mackinac Island State Park - you'll want comfortable shoes. Bringing a bike? A lock, helmet and fenders are a must (fenders prevent the rain spray up your back). Overnight bike parking is available in the bike racks by Doud’s grocery store and Marquette Park. The Island is known for its breathtaking, but rocky beaches - you'll want to bring water shoes. A Grand evening - jazz under the stars, ballroom dancing, a drink in the beautiful Cupola Bar; after 6 pm, the public is welcome at Grand Hotel, with appropriate dress (Men - jacket & tie; Women - cocktail attire). If you need help with your plans, just ask our staff - we're happy to help! Where to play while you stay! Looking for that perfect sunset? A Stroll down the boardwalk is gorgeous at sunset with the Mighty Mac as a backdrop. 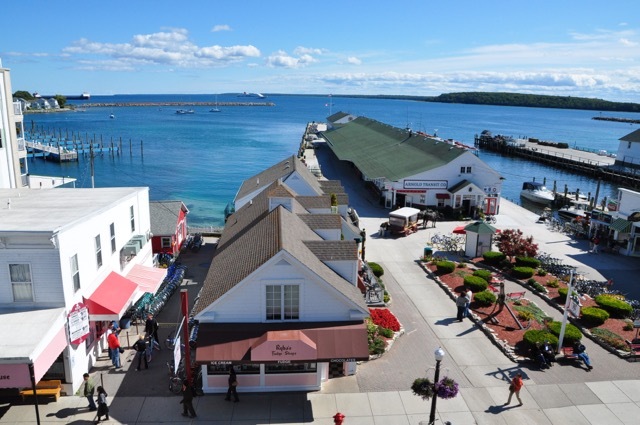 Mackinac Island is a food-lovers dream. From grab 'n go to elegant dining, we've got it all. The Island is home to two challenging and unique golf courses (The Grand Hotel Jewel and Wawashkamo). Get your Esther Williams on! The Grand Hotel pool is available to the public for a fee. Enjoy swimming at British Landing and beautiful natural rock formations off the Arch Rock shore line. Feeling adventurous? Fort Holmes is a treasure not to be missed. Bring a picnic lunch. Enjoy a guided kayak tour Looking for a kid's playground? Great Turtle Park is located in the center of the island with a baseball diamond, skateboard park, swings, etc., There are also two additional playgrounds, located at the public school and behind the Richard and Jane Manoogian Mackinac Art Museum. Geocaching, anyone? The Island has some great finds - don't forget your GPS. Looking for something unique just for you? From our favorite running trails to the best root beer float, any of our staff is happy to point you in the right direction.